I really, really like this calendar and now refuse to use any other. It's neat, orderly, and suits all of my purposes. 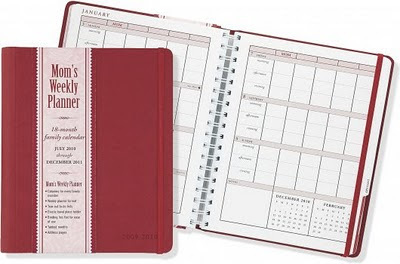 As a blessing to one of you though - Peter Pauper Press has offered to give away one Mom's Weekly Planner to one Reading to Know reader. Which one would you choose? The Red , blue , Butterflies or Spring Garden ? Let me know in the comment section which one you would like to own if you are selected as the winner of the contest. In order to be entered, simply leave a comment below. This contest is open to U.S. Residents only and will be open through Tuesday, July 19th. Thank you, Peter Pauper Press, once again for your generosity to one of my readers here AND for producing such a helpful and useful tool for my family! Love the Spring Garden one. Sign me up! I lean towards plain and simple and would love blue. I love the red one with the butterfly a close second. I remember you talking about this last year! My mind has been on organization all week as I order school books and make plans for the upcoming home school year! Ooh, the red one. It's my favorite color. Oooo! I want one! ;) I think the butterfly design is pretty. I very much like the Spring Garden. I've been making-do with just a calendar, but I could use a good planner! I was looking at finding a planner that I could keep track of school for B plus Dr. appointments for Mac, but something that didn't just muddle it all together... and a mutual friend pointed me to your blog saying you had found one that you loved and that (surprise!) you were doing a giveaway! I think the natural beauty of the butterfly design is awesome. I would love a new planner in JULY! I love the butterfly one. It is super cute. Thank you so much for the chance to win this. I've been a fan of a Carolina Pad planner for several years now, but this one sounds intriguing. I also like the butterfly design! Have to tell you--I watched Tuck Everlasting last night based on your recent recommendation. I read the book many years ago, but had forgotten much of the story. I like the butterfly one. This would be so nice. I like the Spring Garden best. I could always use a little extra organization (or maybe a lot)! So pretty=I love the spring garden planner. Sure would be fun to win! The Spring garden is so pretty! 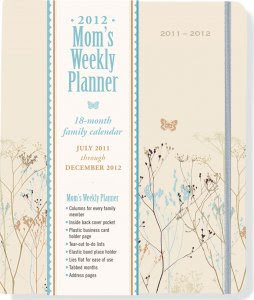 Oh goodness, I am forever looking for a great planner that covers it all! I like the red because it matches my Bible and my cell phone cover. ;) Why not stick with the trend?? I really need one of these! My poor brain just can't hold it all anymore! I like the butterfiles design best. It's calm colors are a nice counterpoint to the chaos within! I'd have to go with the floral one. But then again, I love flower gardens! Great giveaway! 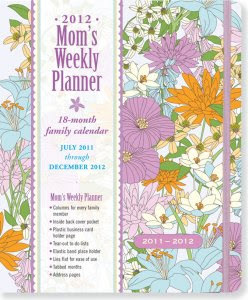 I would love the spring garden planner. Thanks. Definitely the Spring Garden one. It's so colorful. Thanks for the giveaway! The butterflies are so beautiful and calming! My pick for sure! Love Pete Pauper items! I would go with the butterflies. I like the butterflies one! Love the butterfly one! I was just about to go buy a new calendar for fall school planning! This one looks great. I'd like Spring Garden. Thank you for the opportunity to win! i love this! i would take the blue if i won. I would love to with the butterfly one. So pretty and it would be so helpful! RED! I'm a red girl all the way! I love the idea of a calendar that starts in July. With school starting in August it would let me keep track of school related planning meetings in July. I'd love the Spring Garden! Ok - spring garden... Maybe we do need a new system!!!! I like the Spring Garden Planner best. Thanks for the cool giveaway!! I like the Spring Garden Planner. It looks so cheery. HI! This looks GREAT! The red one would perfectly match my red and yelllow kitchen while sitting on the baker's rack that is near! I love Mom's Weekly Planner and I recommend it to all of my friends. It not only keeps me organized but now that the new planner has extra pockets for business cards it's going to be fantastic! I have had the Blue one and when I dropped it in a puddle I got the Red one. I love the new one with the butterflies! Awesome giveaway! I love the butterflies!